Do you want to know which type of infographic works best for your information? Then this guide is for you. The infographic layout you use will depend on the goal of your infographic, as well as the type of data you’re visualizing. The problem? There are a LOT of different infographic styles out there. Enough to make it overwhelming, especially if you’re new to creating infographics. We have categorized the infographics in the Venngage templates library into 9 different types of infographics. 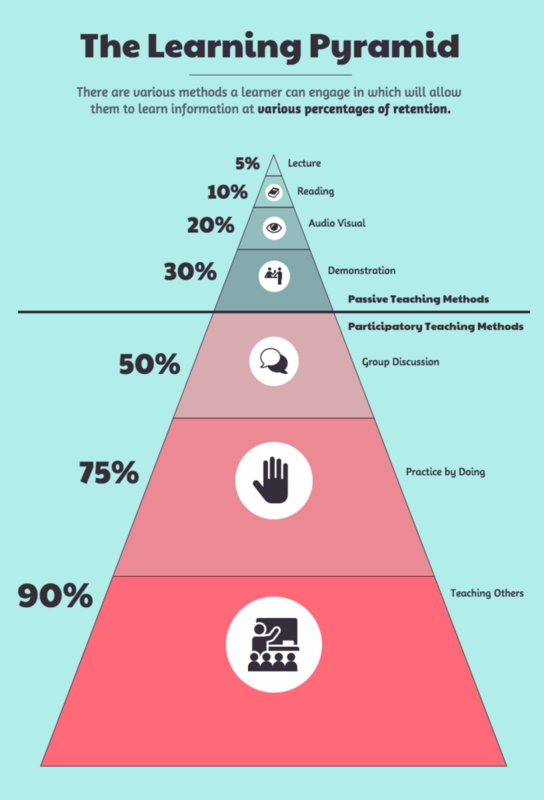 Let’s dive into each type of infographic in more detail. If you want to visualize survey results, present data from multiple sources, or backup an argument with relevant data, then a statistical infographic will work well. Your storytelling devices can include charts, icons, images and eye-catching fonts. Another example of a statistical infographic that visualizes data is from this local SEO study report. If you have a few key statistics that you want to emphasize, you can also opt for a more unconventional design. Look for the story behind your data and reflect that in your design. Vary the types of data visualizations you use–like charts, icons, and text. Write a descriptive infographic title that contextualizes the data. Emphasize key data by using a contrasting color or pairing the number with an icon. Want more statistical infographic templates and design tips? Read our guide to creating statistical infographics. 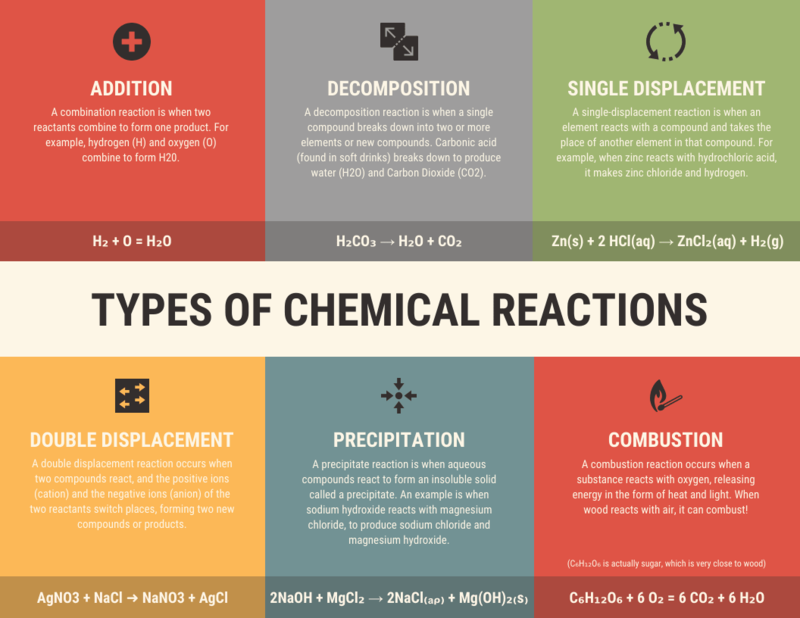 An informational infographic template is ideal for if you want to clearly communicate a new or specialized concept, or to give an overview of a topic. 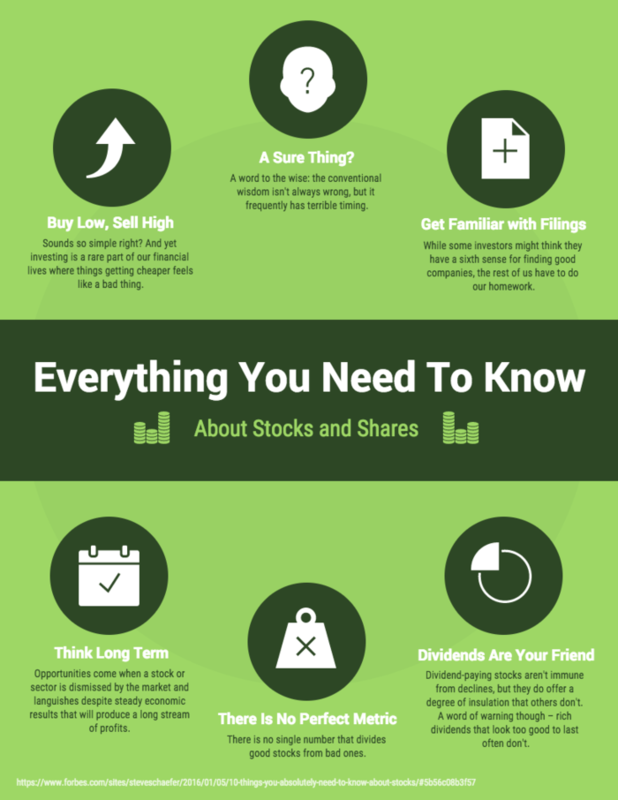 Typically, an informational infographic is divided into sections with descriptive headers. Numbering each section will help your infographic design flow. Plus, we’ve found that people tend to like infographics with numbers in the title. Give each section a descriptive header so the information is clear. Number your sections to help the information flow. Alternate between different colors, types of visuals and directions to keep readers engaged. Illustrate concepts using icons and images. Learn more about how to summarize content, such as a blog post or report, and present it visually as an infographic. Because humans tend to make sense of time spatially, a visual like a timeline infographic can help create a clearer picture of a timeframe. Visuals aids like lines, icons, photos, and labels all help to highlight and explain points in time. A visual trick to show time progression is to use a color gradient. Use a central line to connect the different points in time. Use a bold, contrasting font to highlight the year or name of each event. Illustrate each point in time with a simple icon. When necessary, provide a brief description for each point in time. Looking for more timeline templates, examples and design tips? 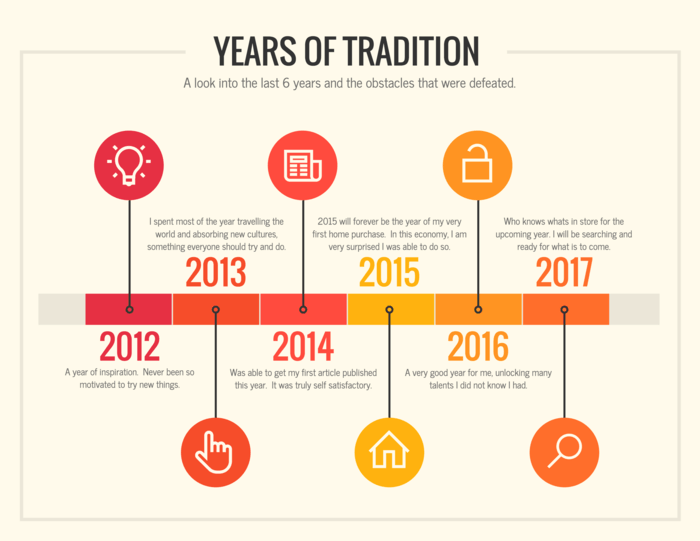 Read our guide to creating timeline infographics and our post with 20 timeline template examples. While a timeline infographic will highlight points in time, a process infographic is ideal for providing a summary or overview of the steps in a process. Process infographics will allow you to simplify and clarify each step. 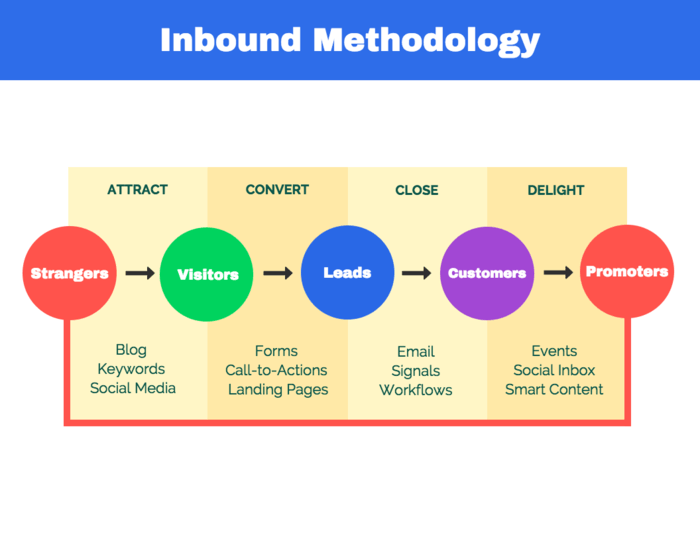 Most process infographics follow a straightforward top-to-bottom or left-to-right flow. Numbering the steps will make your process easy to follow. For example, this process infographic template uses a different colors for the headers of each step. Notice how the colors of numbered icons on the right side of the infographic correspond with the headers. To help your information flow, use directional cues like arrows, lines and other shapes that point the eyes in a certain direction. Number each step in your process to make it easy to follow. Use an S-shape layout to fit many steps into one page. Use visual cues like arrows to indicate where the eye should look next. Write your headers in a different font or colors from the other text to help them stand out. Want more process infographic templates and process visualization tips? 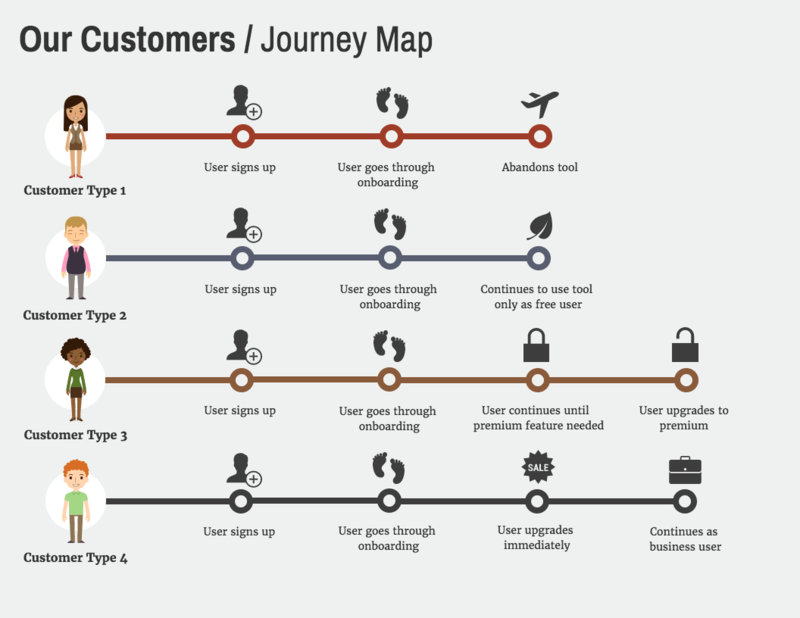 Check out our guide to creating process infographics. Do you want to visualize location-based data, demographic data or large quantities of data? In those cases, try using a geographic infographic template. Geographic infographic templates can also be used to compare data by region or demographic. You can do this by placing several maps side by side. Use a heat map to visualize density by area, and to create a hierarchy of data. Use a map series to compare location-based information or to shows changes over time. Clearly label points on a map to make your data easier to understand at a glance. 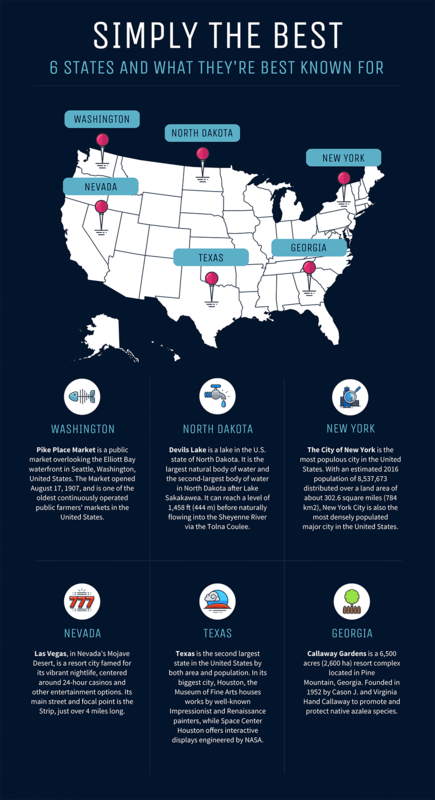 Want more geographic infographic templates, examples and design tips? We’ve got a geographic infographic design guide. 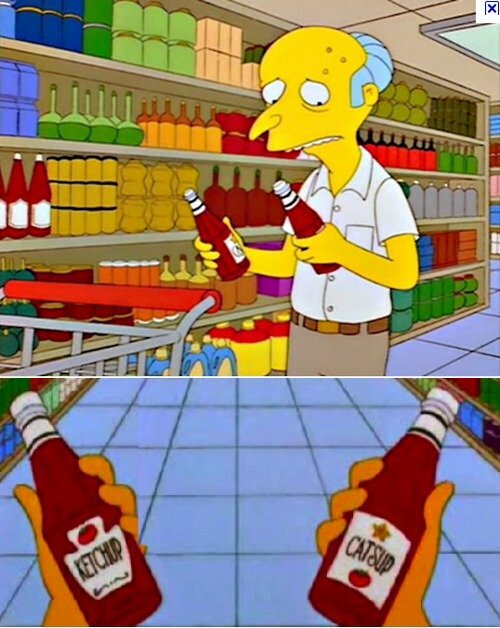 A lot of people have trouble picking between multiple options. Whether you want to compare options in an unbiased way, or you want to make one option seem better, a comparison infographic can do that. 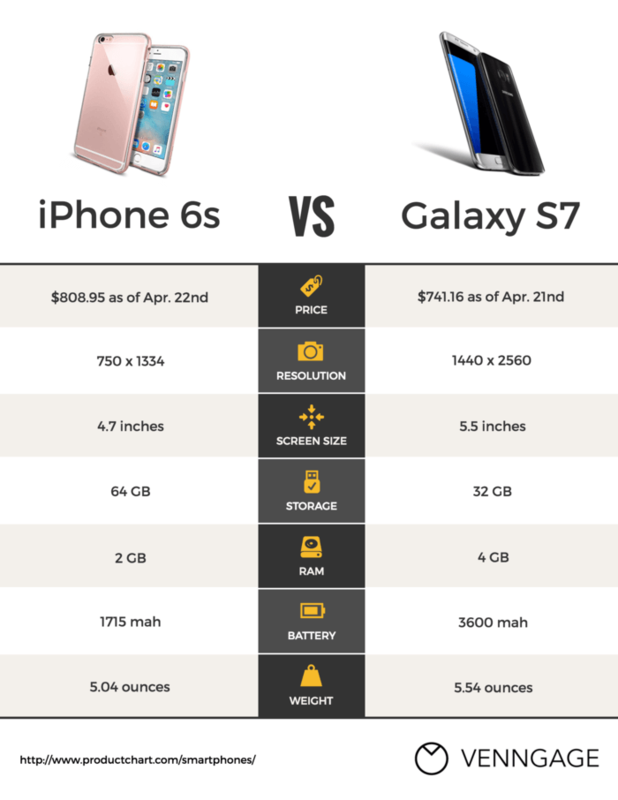 Typically, comparison infographic are split down the middle vertically or horizontally, with one option on each side. Use contrasting colors to set two options apart. You can also use a brighter, more eye-catching color to emphasize the option you want readers to pick. If you want to compare more than two things, then simply dividing your infographic in half won’t work. Instead, you can divide your infographic into multiple columns. Divide your infographic in half to show two options. 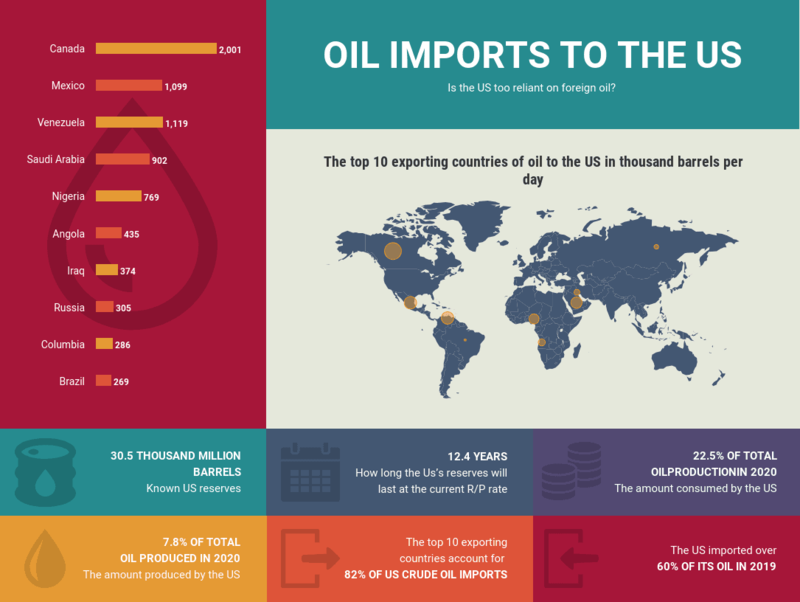 Divide your infographic into columns to show more than two options. Set two options apart by using contrasting background colors. Use a brighter color to highlight the option you want readers to pick. For over 20 comparison infographic templates and design tips, read our comparison infographic design guide. 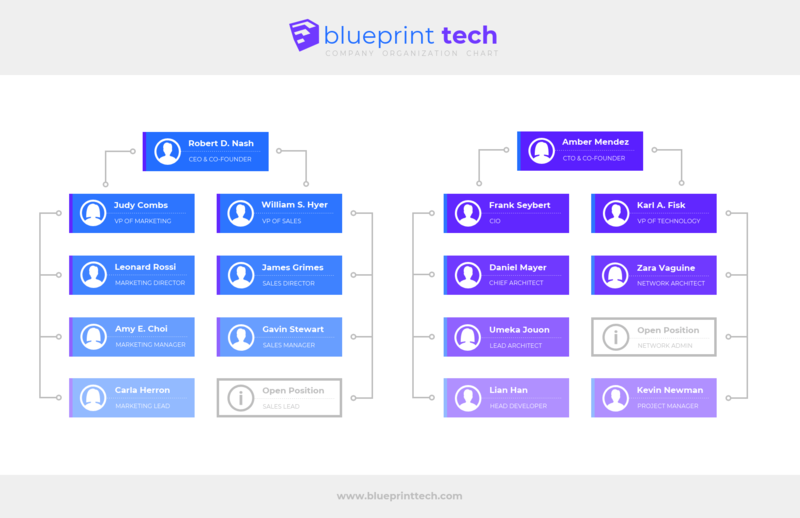 A hierarchical infographic can organize information from greatest to least. 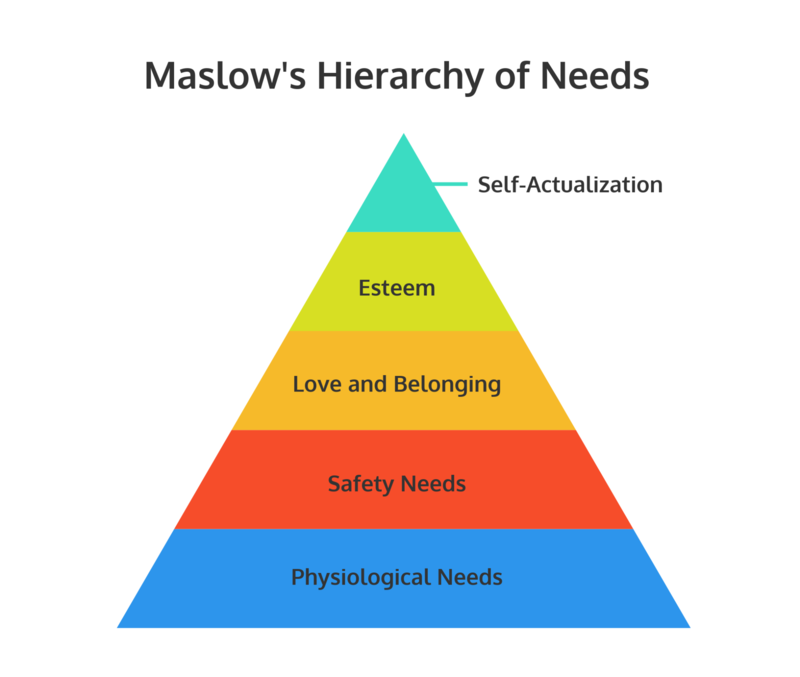 One famous example of this is the pyramid visualizing Maslow’s Hierarchy of Needs. Humanity’s most important needs at the base of the pyramid, ascending to humanity’s least important needs in the smallest segment at the top. 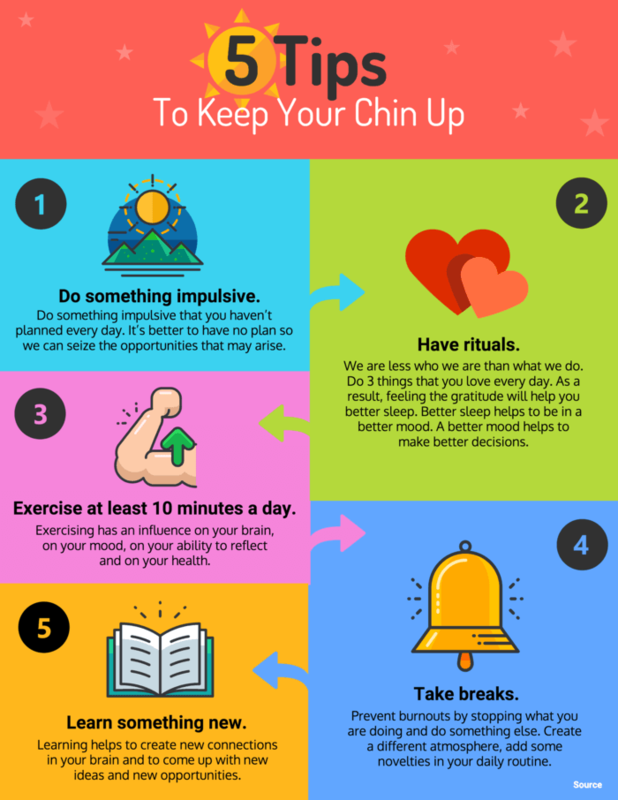 If you want to share a collection of tips, or a list of resources, or a list of examples, then why not create…a list infographic! List infographic templates are generally straightforward–the goal is to make them more eye-catching than a basic list. Visuals like icons can replace bullet points, and creative fonts and colors can make each item stand out. Just because your content is a list, doesn’t mean you have to follow the basic top-to-bottom layout. Look for creative ways to lay out the points in your list. Play with your audience’s expectations and include eye-catching design elements to give their eyes a break. Number the points in your list to help the information flow. Replace bullet points with icons to illustrate your points. Vary the color of the fonts, backgrounds, or icons of each point to keep your design engaging. Try unconventional layouts like S-shaped layouts or circular layouts. With the current job market being so saturated, job seekers need to find creative ways to set themselves apart. 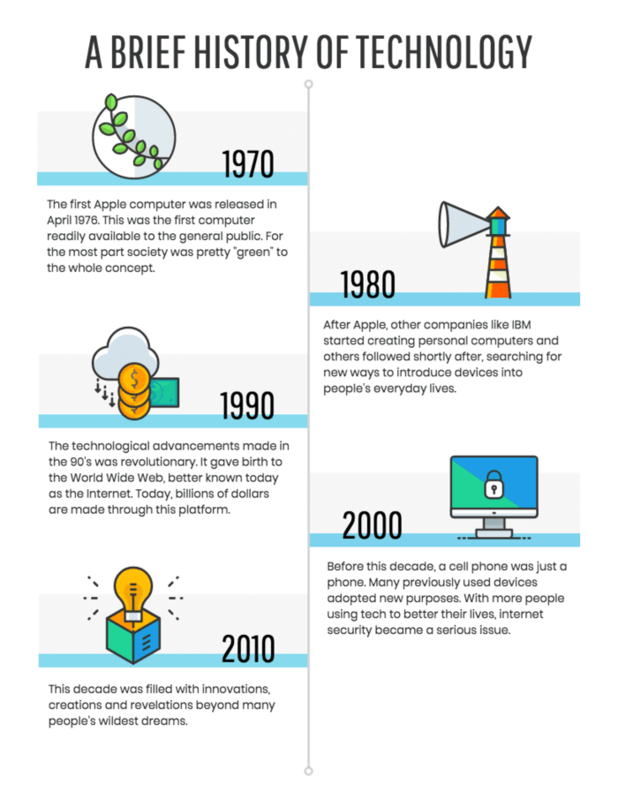 That’s why infographic resumes have gained a lot of popularity in recent years. 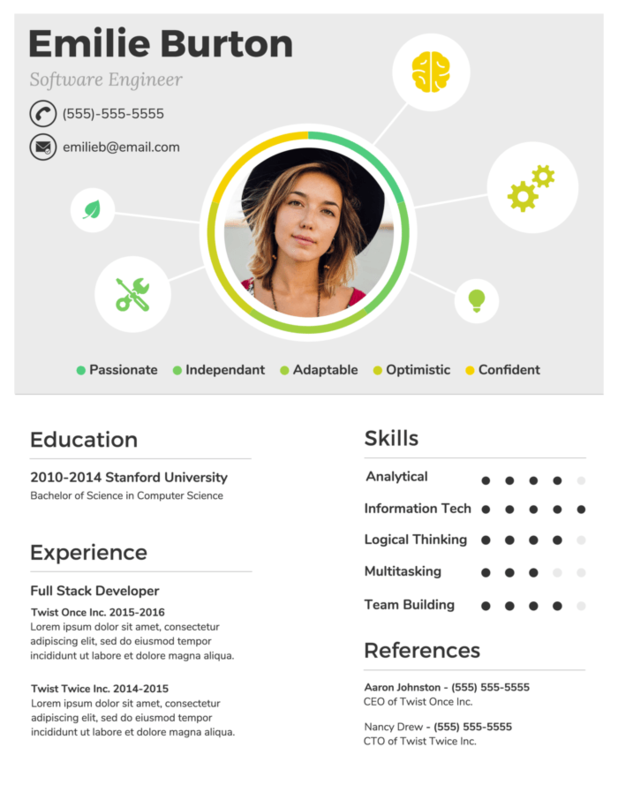 Infographic resume won’t be able to entirely replace a traditional resume in most cases. But they’re a great document to bring to an interview, to publish on your portfolio site, or to include in an email application. 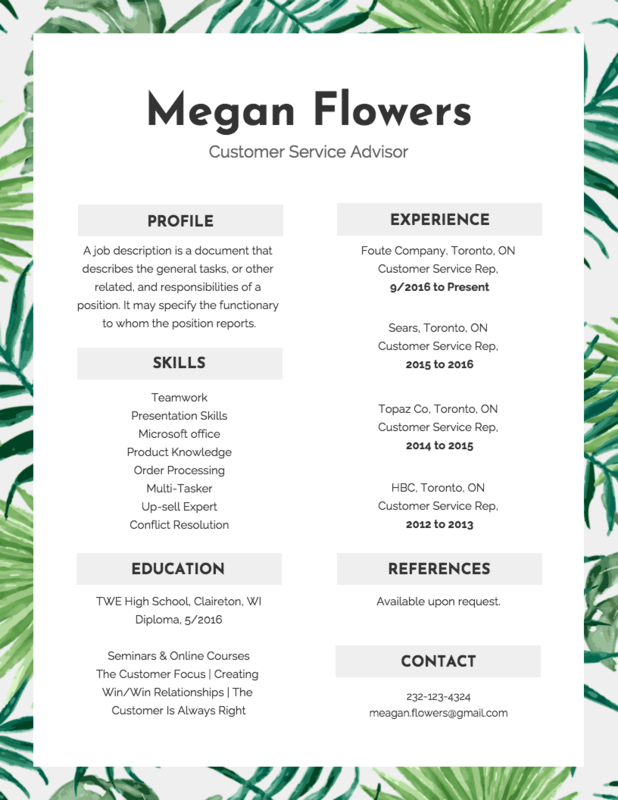 Design a header for your resume that reflects your personality or personal brand. 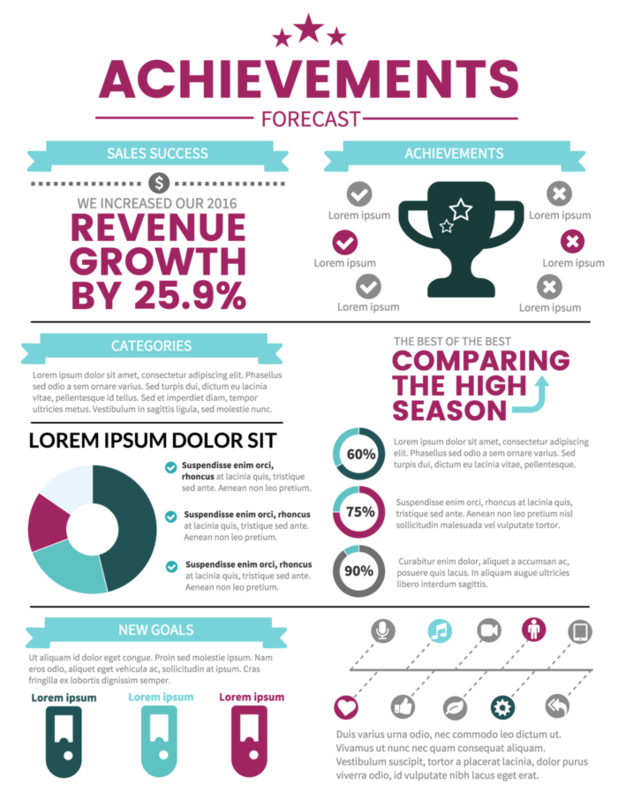 Embellish your infographic resume by adding company logos, icons, and data visualizations. Use bar or line graphs to show profits or growth. Use word clouds to visualize relevant keywords like skills or values. 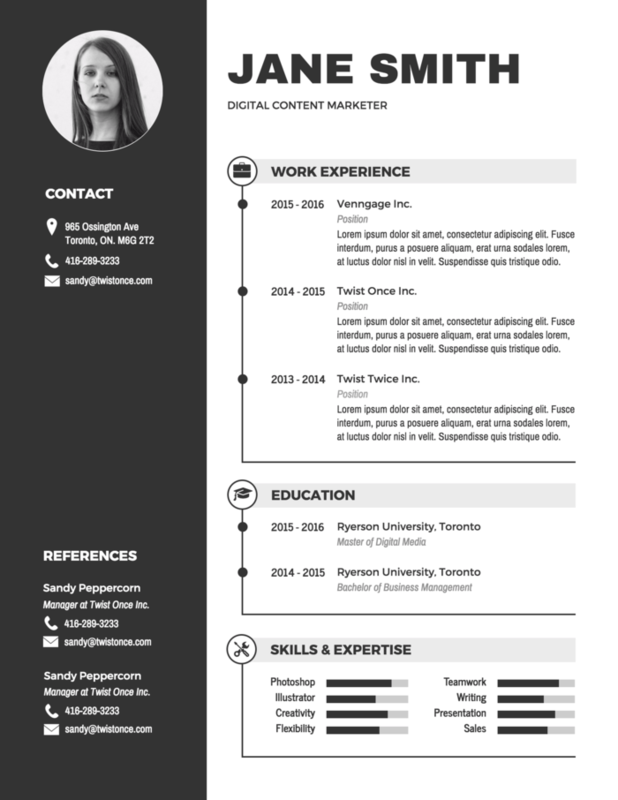 Looking for a more in-depth guide to creating an infographic resume? Click here. Or check out our roundup of 20+ infographic resume templates. Once you’ve picked a layout for your infographic, the next step will be to figure out how to visualize your data using charts. Depending on your data and the goal of your infographic, you may want to change a pre-existing chart in a template to something better fitting. At Venngage, we use the ICCOR method to pick the best charts. The types of charts you choose should depend on the goal of your chart. With these 9 essential types of infographics, you will be equipped to visualize most types of information. Still confused about what an infographic is and why you’d want to use one? Our post What is an Infographic? will tell you everything you need to know.